Last year in December, Paytm announced that they will introduce a new service called the Paytm Payments Bank. In this service, Paytm will merge the digital wallet facility with Payments bank. Vijay Shekhar – Founder of One97 Communications, announced that they have got RBI’s approval to launch the payment bank in January. Now, Paytm has announced that it is all set to launch Payments Bank on May 23. Renu Satti will be the CEO of Paytm Payments Bank. After May 23, the Paytm wallet will move to Paytm Payments Bank Limited (PPBL). In case consumers do not wish for that, they have to inform Paytm, which will, in turn, transfer the wallet balance to the consumer’s bank account once such details are shared. Such communication will have to be made before May 23. Did You Knew: Paytm Goes Global, Releases a Paytm Canada App for Canadian Bill Payments?? Paytm Payments Bank converts the digital wallet into an RBI-certified and licensed bank. Payments bank are not allowed to give loans or advances to customers. It can issue cheque books and debit cards but not credit cards. Payments banks can accept deposits from individuals and small businesses up to Rs 1 lakh per account. 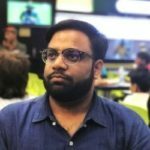 What happens to the money in my Paytm Wallet? The Paytm wallet will be transferred to the Paytm Payments Bank Limited as it is and the balance in your current Paytm Wallet will reflect in your new Paytm Payments Bank Wallet. Will I automatically get a Paytm Payments Bank account after the wallet transfer? No. Once the Paytm Payments Bank is launched the bank will give you an option to open a separate bank account. You will earn interest on your money if you choose to open a payments bank account. What can you do if you don’t want to continue with Paytm Bank? You can send a mail to help@paytm.com or state you don’t want to continue using Paytm. You can redeem your balance as one-time transfer to your bank account. Give details of your savings account, such account holder name, account number, IFSC code. Give them these details within 15 days of notifying them about your desire to opt out.